Activities, puzzles, games, jokes, and toilet-paper crafts to keep you busy while you do your BUSINESS! 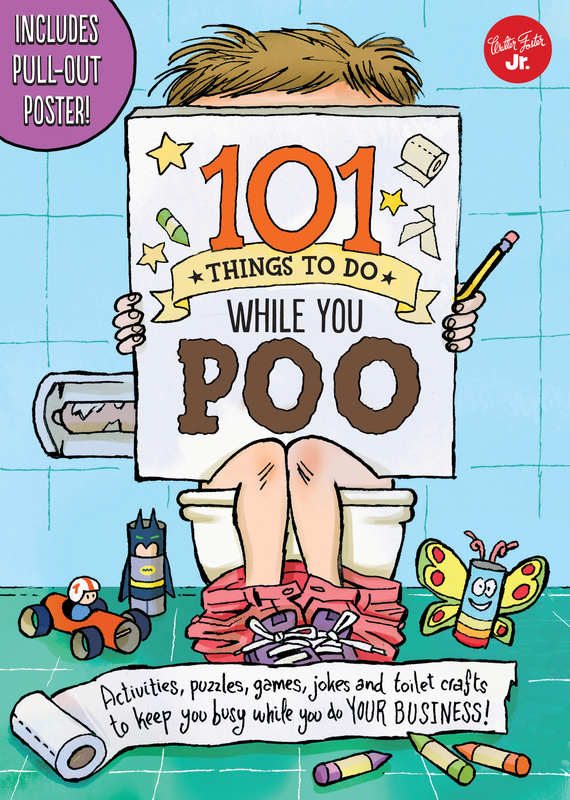 101 Things to Do While You Poo encourages children to take however long they need to do their business--and stay entertained in the process! Continuing the humorous and interactive 101 Things series, 101 Things to Do While You Poo features brainteasers, mazes, fun facts, jokes, and crafts that can all be done while doing your business in the bathroom. From toilet-paper crafts and origami to irreverent jokes, brain-training games and puzzles, and wow-worthy did you knows and trivia, children will spend hours wiling away the time on the toilet. 101 Things to Do While You Poo encourages children to make the most of their private time by learning more than 100 bathroom-themed games, crafts, jokes, and riddles that will make even the most straight-laced parent crack a smile. Take however long you need to do your business--and stay entertained in the process! Amanda Formaro is a crafty, entrepreneurial mother of four. A former webmaster turned blogger, she is a crafting expert for companies such as Disney and General Mills. Her passion for crafting resonates from her blog, Crafts by Amanda, where she shares tutorials with step-by-step photos for adults and kids alike. She lives in the beautiful midwest state of Wisconsin with her husband, children, and myriad of pets. She loves to create, write, cook, and bake and has a knack for turning a cardboard tube into just about anything!